Miku!....again..... I found this one online. So awesome!!. Wallpaper and background images in the Minecraft Pixel Art! 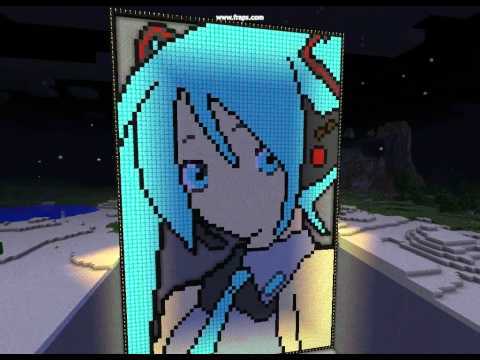 club tagged: minecraft pixel art vocaloid. I found this one online. So awesome!! ...Whoever made this is a firetrucking GOD!